We are happy to introduce Patricia Hiner who will be joining our Middle School facility in the Math department. She will be teaching sixth grade and co teaching seventh grade math with Miss Hofmann. Patricia Hiner received her B.A. in Psychology and English from University of Massachusetts, Amherst, an M.A.T in Curriculum and Instruction from California State University, and an Ed.D in Educational Psychology from University of Southern California. She has taught elementary, middle and high school for the Los Angeles Unified School District and was a mathematics coach. 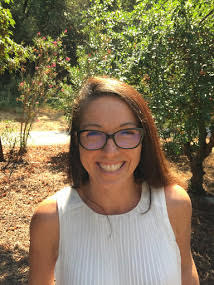 In addition she has taught teacher education courses for National University, University of Southern California and University of California Santa Cruz. Mrs. Hiner enjoys hiking, writing and traveling with her family.